Specially designed for public areas. Strong, vandal proof and built with rounded edges. Made in AISI 304 stainless steel AISI 304, 1 mm thickness. 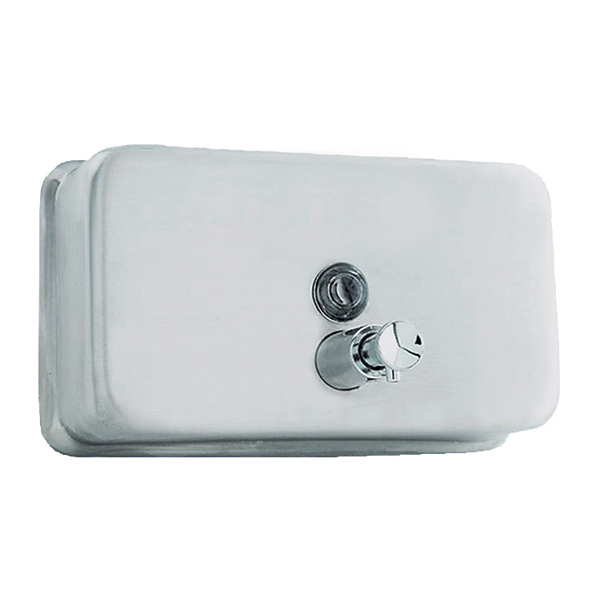 Refilling door is located on the upper part of the dispenser which opens with a special anti vandal key. Assembling: 3 assembly points completely hidden. Dimensions: 210 high x 121 wide x 70 deep mm. Maintenance: stainless steel requires maintenance, after some time dust may damage the stainless steel chrome. We recommend regular cleaning with a stainless steel cleaning chemical. This dispenser is designed for white or pink hand soap.